If you are lucky enough to have some outside space you will want to make the most of it, but often it is difficult to know where to start. 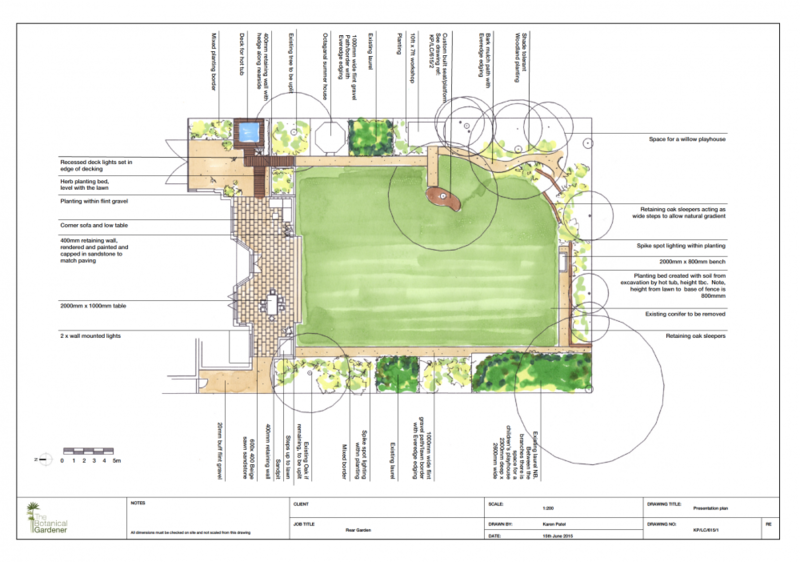 We can help guide you through the process that results in a garden that is right for you – bringing together all the elements and functionality that you need from the space in the most creative and visually pleasing way. Using the expertise of a garden designer can help you see possibilities you may not have considered and avoid costly mistakes. We provide a free initial consultation during which we’ll talk specifically about what you want to achieve and how you plan to use the space, as well as more generally about the style and look you like, and plants that you would want to include. The process then starts by drawing all this information into a written brief and taking detailed measurements of the garden. 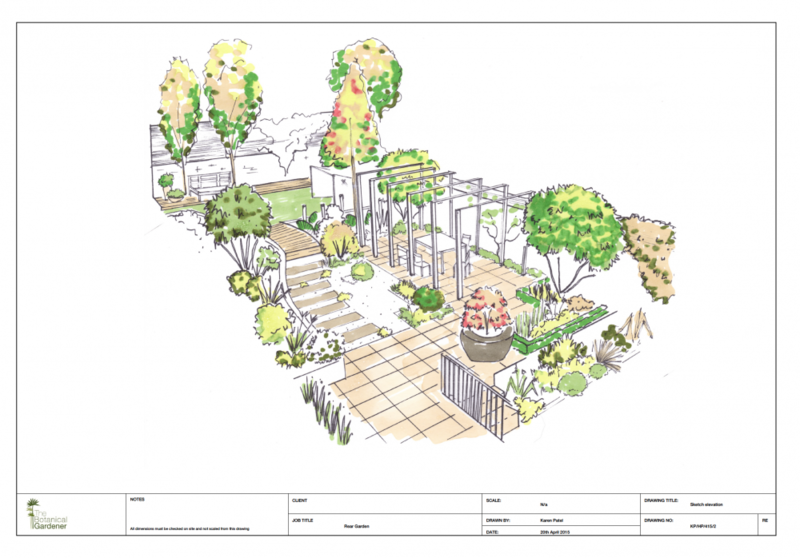 From these a concept for the garden is drawn up, both as a detailed 2D plan and as a sketch elevation to really help you visualise how the garden will work. You will receive samples of the materials along with advice on the pros and cons of each choice. We work in a collaborative way with clients, using the budget effectively to reach a design that makes the most of the space. 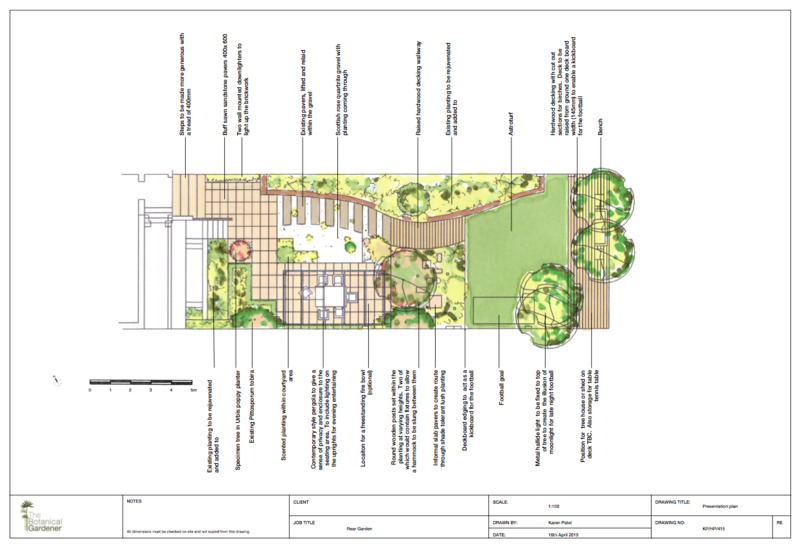 Because we build the gardens that we design the process flows from the design to the construction phase, with site visits with our landscaper and designer. This allows us to give you an accurate cost up front for the work. The team are committed to achieving the highest possible finish on each project. We have a few independent lighting and irrigation contractors that we regularly work regularly to do the specialist work required for this part of the build. 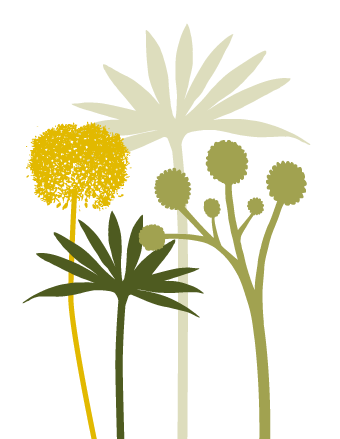 We are first and foremost plant people and plants play a large role in our designs. 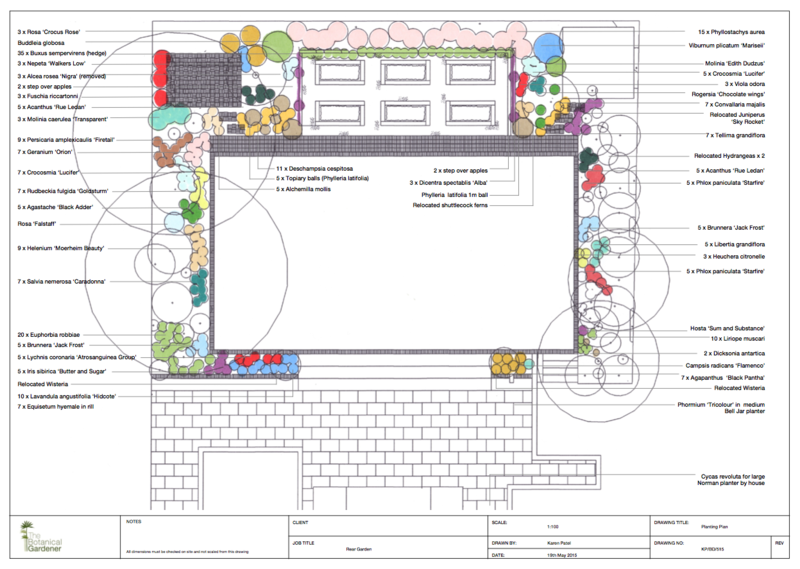 The style of planting forms part of the earliest discussions, and we use moodboards to help clients visualise how the planting will look. We are careful to match the maintenance requirements of the garden to the desire of the client to maintain it. 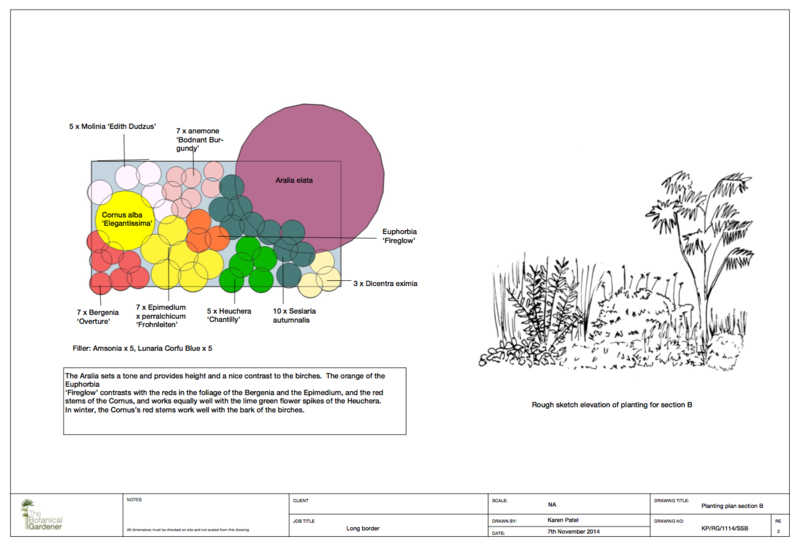 A planting maintenance document can be prepared for clients keen to learn about their new garden.